If you tuned in to S47, Stewart connected me to this week’s guest, Andy Richter. 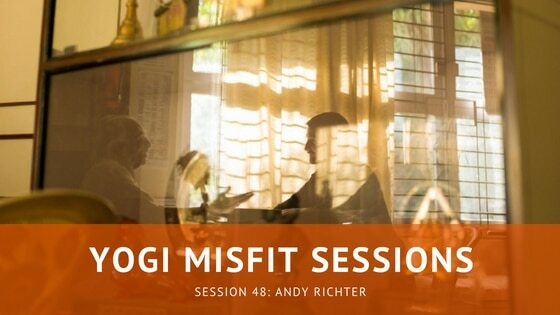 Andy is a phenomenal photographer whose work centers around capturing expressions of yoga. Also, he got to meet and photograph BKS Iyengar…NBD. We also talk about his book that just came out: Serpent in the Wilderness. Special thanks to our friends at SF Yoga Magazine as always, and I hope you enjoy this session. If you like the podcast, please leave a review or rating on iTunes! Want to listen to a specific topic? Let me know by sending ideas on social media!